The Worthy Dog Zebra Dog Hoodie - Black/White is a fun, warm, and comfy dog sweater that is sure to make your dog the cutest around! The fun Worthy Dog Zebra Dog Hoodie - Black/White is the perfect dog hoodie for the fun dog in your life! 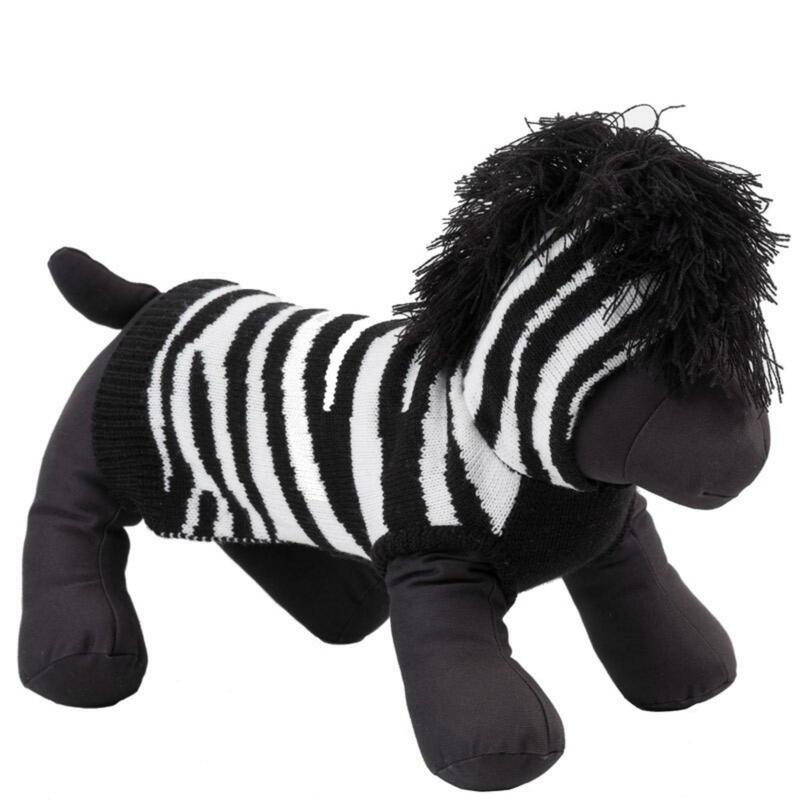 This adorable zebra hoodie is a perfect gift, addition to any dogs wardrobe, or for Halloween. Its double acrylic knit and hood will keep your zebra dog warm and comfy this Fall or on Halloween night. It features a leash hole on back that makes for quick leash attachment and a frilly yarn mane. Cute stuff! I can't wait to see this on my dog!